The Singapore Zoo on 26th May. 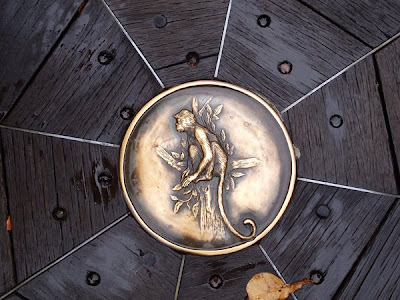 I love the place and it's the one local attraction I don't mind visiting regularly! 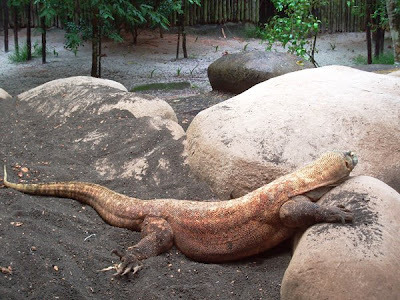 I also visited the Night Safari (opens at 7pm after the zoo closes at 6pm) on a different day but did not manage a single clear shot throughtout the trip as it was too dark for any photography. Flashes were also not permitted since the animals were mostly nocturnal. The entrance, it was cloudy & rainy that day but way better than the scorching hot sun. 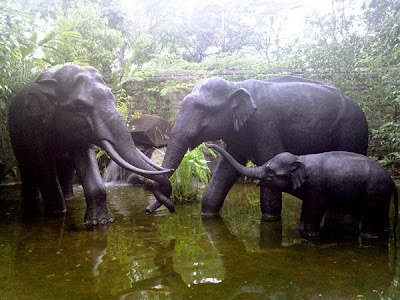 Elephant sculptures. I didn't get any pictures of the real ones as my camera ran out of power. 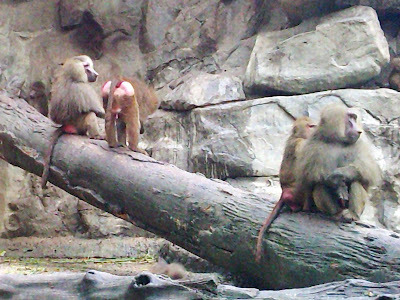 Hamadryas Baboons. The enclosure was huge and there were tons of the baboons playing about. I have to add that some of them had creepy red drooping buttocks. 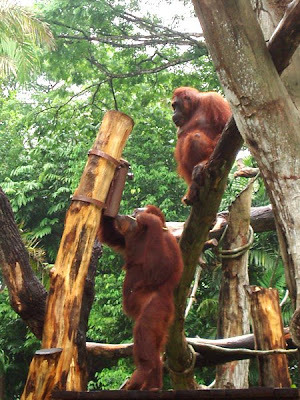 Orang Utans. The one on the left is using a stick to fish out snacks from a feeder. 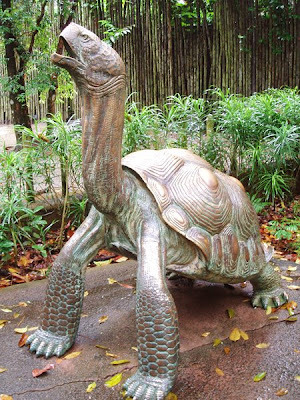 Sculpture of a giant tortoise. Snapped this since the actual animals were hiding under their shells. Goat. 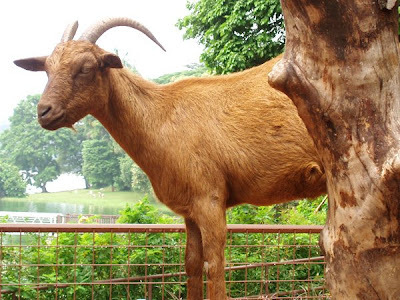 They are in the kid's section where you can interact closely with the animals. 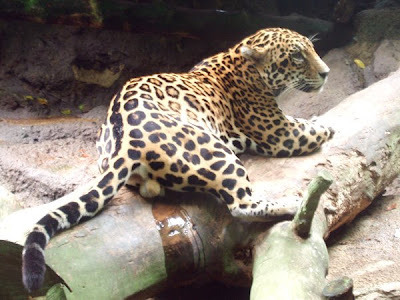 A leopard... it's taking a leak without even getting up! A lion. The viewing gallery allows you to view the lions by means of a glass pane so you get a nice view. 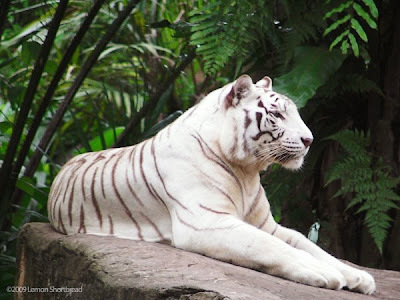 Beautiful white tiger. One of the main attractions of the zoo. They were in the news before for mauling a worker who jumped into the enclosure attempting suicide. Sloth, it was rainy so its fur was clumped. It moved rather quickly for the snack! They were in the free roaming enclosure. Flying fox. 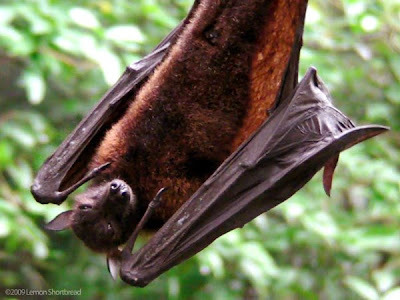 Adorable largest bats in the world, fruit-eater. It was feasting on a slice of watermelon earlier and looks quite contented. Also in the free roaming enclosure. 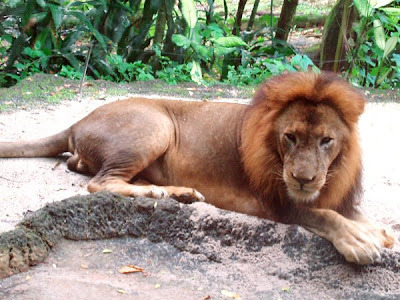 singapore zoo from RONALD ASHBURN on Vimeo. This planet is so full of amazing creatures! I hope the animals enjoyed your visit. 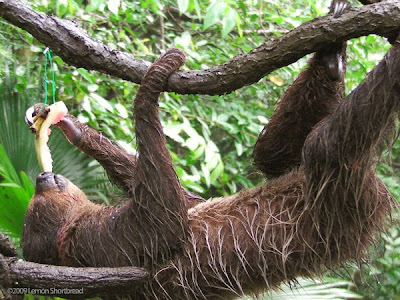 That sloth is one weird due, isn't he? Wowee, what superb photos. The big bat is my favourite. They are amazing creatures. Oh you are lucky to have a zoo nearby and to be able to go at night, what a treat. Thanks for sharing those pic's, the white tiger looks fab! ah, the splendor if nature! 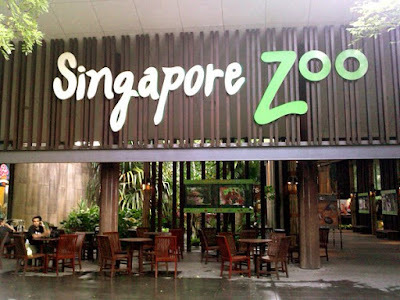 I just visited the Singapore Zoo weeks ago and blogged about it too! Ur pics look great! What an awesome zoo! I love the sloth, he's adorable. But you know which one is my favorite? The goat! I love goats. Right now I live in an apartment, but I would love to have a pet goat someday when I have a house. JURONG BIRD PARK - SPECTACULAR! DEATHNOTE FANART & OBATA ART BOOK!